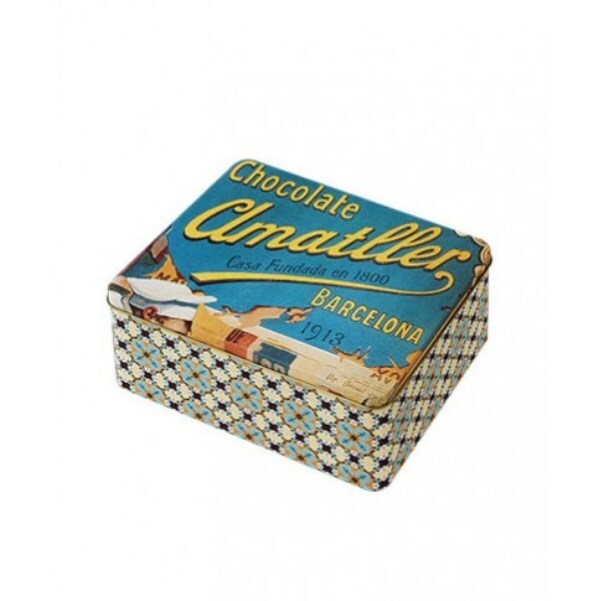 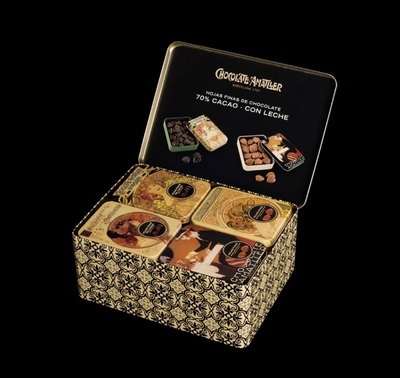 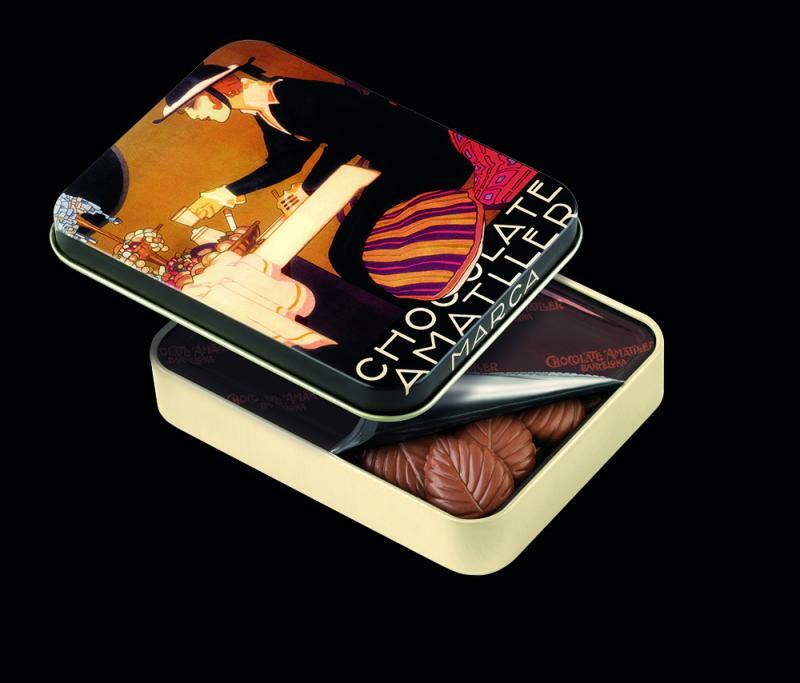 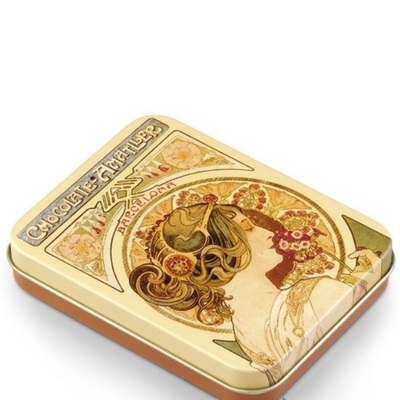 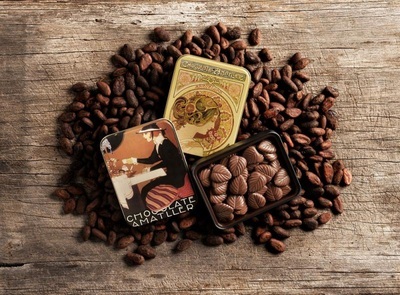 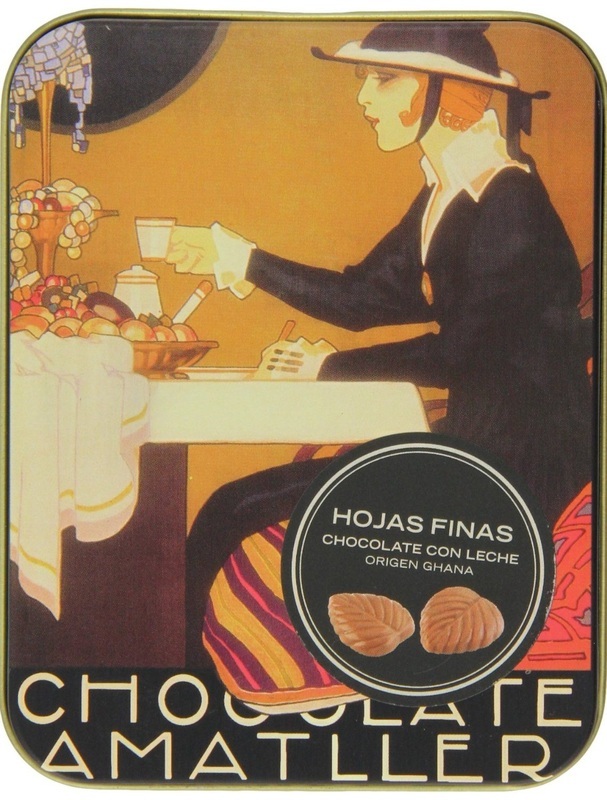 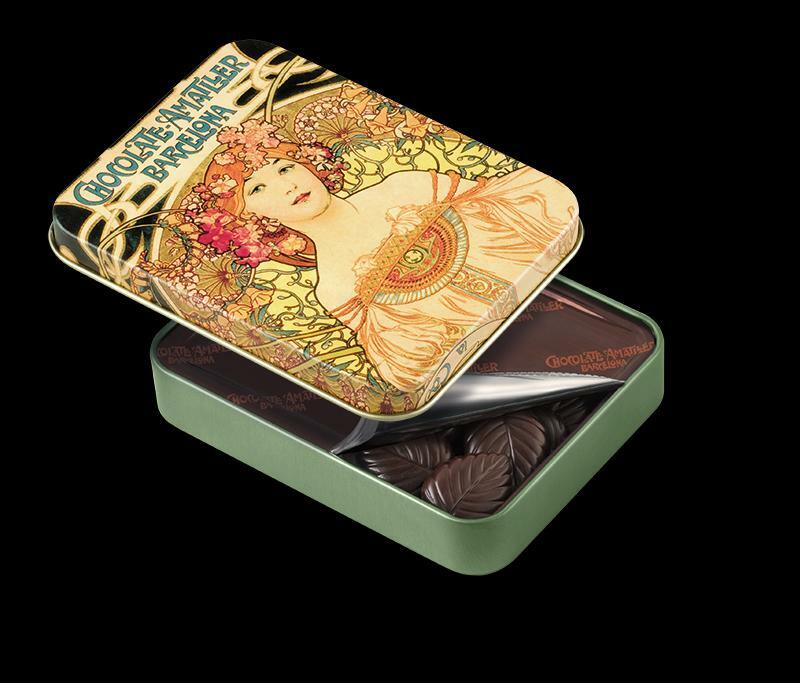 Thin leaves of 32% cocoa milk chocolate and 70% cocoa, which come wrapped in delicate paper, inside a metal box decorated with old promotional posters from Chocolate Amatller. 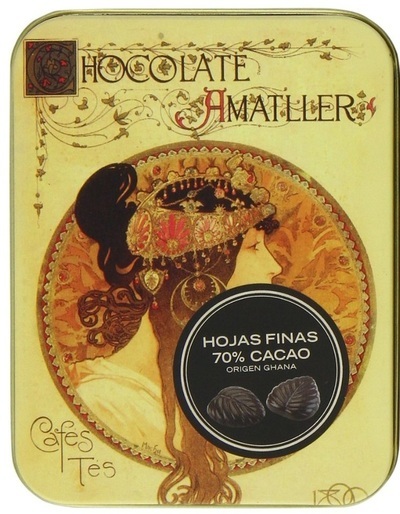 Made with Ghana cocoa beans, following Amatller’s own method of selection, roasting, refining and conching, the chocolate is characterised by a finely balanced combination of the intensity of Ghanaian cocoa and the creaminess of milk, accompanied by a light touch of natural vanilla and by an intense flavour, which has a long finish and an accent on toasted notes. Ingredients: Sugar, cocoa butter, whole milk powder, cocoa mass, emulsifier (soya lecithin) and vanilla. 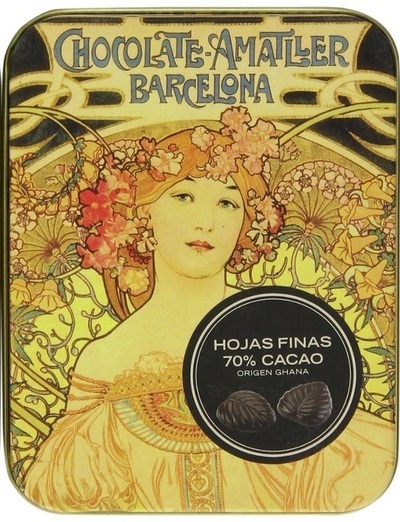 Cocoa Solids: 32%/70% minimum. Milk Solids: 20% minimum.